Serves 2 as a luxurious light dinner. Serving it with bruschetta would be good. 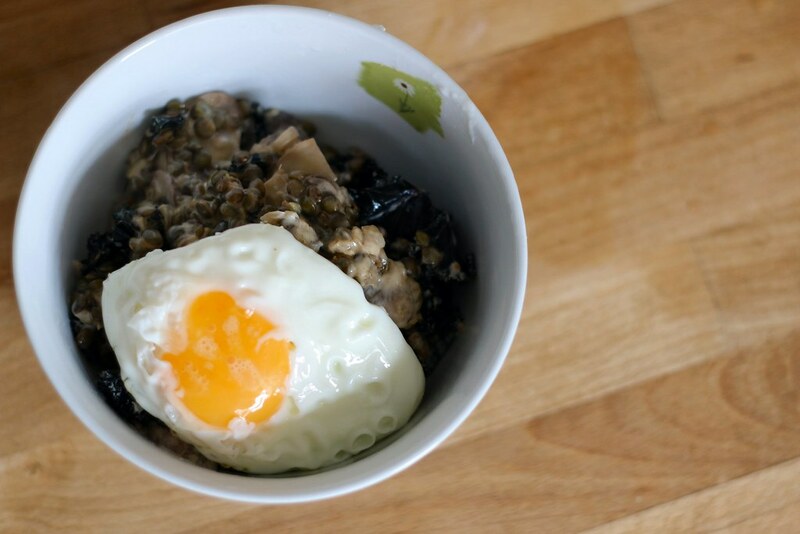 I didn't change anything from the original, so head over to http://www.cannellevanille.com/gluten-free/lentils-mushrooms-kale-eggs-ashley-rodriguezs-date-night/ for the how to. I used 150ml cream and found that too rich. I'd definitely use less next time so have amended the quantities to reflect my preference.